While "Gish" had placed "The Smashing Pumpkins" on the "most promising artist" list for many, troubles were threatening to break the band apart. Singer/guitarist/leader Billy Corgan was battling a severe case of writer's block and was in a deep state of depression brought on by a relationship in turmoil; drummer Jimmy Chamberlin was addicted to hard drugs; and bassist D'Arcy and guitarist James Iha severed their romantic relationship. The sessions for their sophomore effort, "Siamese Dream", were wrought with friction -- Corgan eventually played almost all the instruments himself (except for percussion). Some say strife and tension produces the best music, and it certainly helped make "Siamese Dream" one of the finest alt-rock albums of all time. 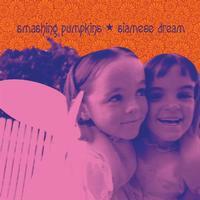 Instead of following Nirvana's punk rock route, "Siamese Dream" went in the opposite direction -- guitar solos galore, layered walls of sound courtesy of the album's producers (Butch Vig and Corgan), extended compositions that bordered on prog rock, plus often reflective and heartfelt lyrics. The four tracks that were selected as singles became alternative radio standards -- the anthems "Cherub Rock," "Today," and "Rocket," plus the symphonic ballad "Disarm" -- but as a whole, "Siamese Dream" proved to be an incredibly consistent album. Such compositions as the red-hot rockers "Quiet" and "Geek U.S.A." were standouts, as were the epics "Hummer," "Soma," and "Silverfuck," plus the soothing sounds of "Mayonaise," "Spaceboy," and "Luna." After the difficult recording sessions, Corgan stated publicly that if "Siamese Dream" didn't achieve breakthrough success, he would end the band. He didn't have to worry for long -- the album debuted in the Billboard Top Ten and sold more than four million copies in three years. "Siamese Dream" stands alongside "Nevermind" and "Superunknown" as one of the decade's finest (and most influential) rock albums.